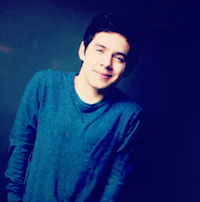 ← Glad Christmas Tidings with David Archuleta available now! P.S. Do you guys think he’ll sing one of these gems or a brand new song? 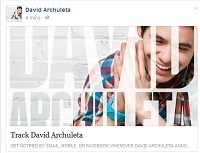 This entry was posted in Utter nonsense and tagged David Archuleta, Noche de Gala, tour por favor. Bookmark the permalink. Spanish suits his voice like a glove….even if I can’t understand the lyrics… it almost makes the actual sound of his voice more clear somehow. So bad fan here, but I don’t know if I’ve ever seen that first video before. Weird haha. Then you probs missed this one too! 🙂 Salsa/bachata/chachacha FTW!!! k, this isn’t in Spanish but still 😆 … acappella EAM posted on SonyMusicPh’s FB page … ay carumba! I love David’s Spanish vocals. Always melts my little ol’ grew-up-in-San Antonio,Texas heart. I was there in San Antonio when he sang that little snippet of Como La Flor. Asking his Mom, who had just joined him on tour, “what should I sing?” She said Selena. Very wise woman. The audience went crazy for it and him. I’m still kicking myself for not making that short one hour drive down to San Antonio for the Tejano Music Awards. Two wonderful songs in Spanish would have been worth the drive for sure. “No Me Queda Mas” and the “Como La Flor” duet with Pete Astudillo (from Selena’s band) as a tribute to the memory of Selena were wonderful. Oh, I hope someone takes videos tomorrow. Please, Please, Please!!!! Love David singing Spanish songs. Love anything that David sings in Spanish! Whatever he sings, it will be wonderful, really hope we get to see it. Love watching all those videos again. 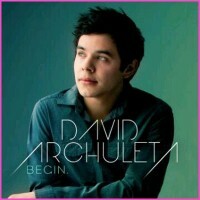 Very nice A Capella EAM by David for his Thai fans. Always amazes me how he can just open his mouth wherever he is and out comes the most beautiful sound. Hope we get a video of that beautiful sound when he sings in Spanish at the Noche de Gala event. We are 2 feet away from stage! Jgadwthbejm!! Just hugged David! He recognized me! Said what are u doing here. How did u get here? He is wearing blue shirt. Hair and skin amazing glow! When David sings, i will do video and my bf will take pics and record audio. Next to us is Asaf who is guitar player for David. He joind band last week. So sweet. He said David will sing contigo, crush and a song with mom! Got videos of contigo, to be with you duet with mom, crush. Everybody were going nuts! In line to c David! Got to talk to David! Took pic with David! Shaking! Got tons of pics! Omg! I cant believe it! David is so cute! Beautiful performance tonight by @davidarchie in Washington. Bellas canciones por David #Archuleta en Washington. Listening to David Archuletta from American Idol at NHFA Gala. He is so talented! David Archuleta (PLS EXCUSE TYPOS) just KILLED it here, and he could not be a sweeter kid. Related: I AM A GIANT. He sang beautiful version of “to B w/ U” backed up by his mother singing harmony! Will try 2 upload in couple days. 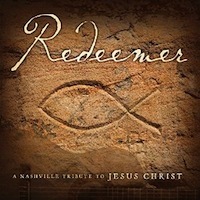 @davidarchie. That is a lifetime, lol. Tried uploading part of beautiful “to be with you” but can’t tonight. Will do hopefully Friday or Saturday. Stay tuned! lol, as he tried to download it tonight I would say he already understands the “urgency” of David fans! He’s got ’em. They can’t look away.